Disney Rockin’ Ever After on Ice! 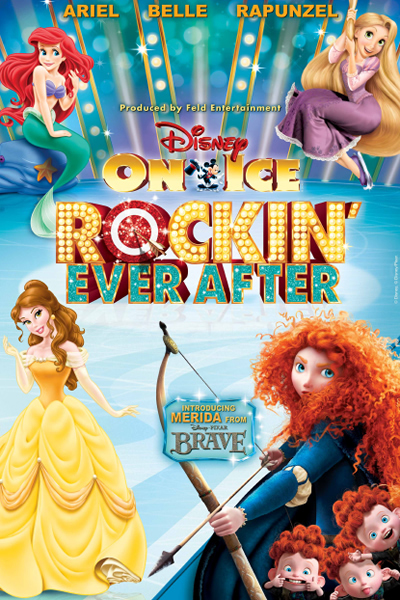 Disney on Ice presents Rockin’ Ever After ! This new show will feature Ariel, Belle, Rapunzel and Merida from Disney Pixar’s Brave in her ice debut. The all-star lineup includes Sebastian and the Daughters of Triton from The Little Mermaid , the rowdy pub thugs from Tangled and the spunky enchanted servants from Beauty and the Beast . 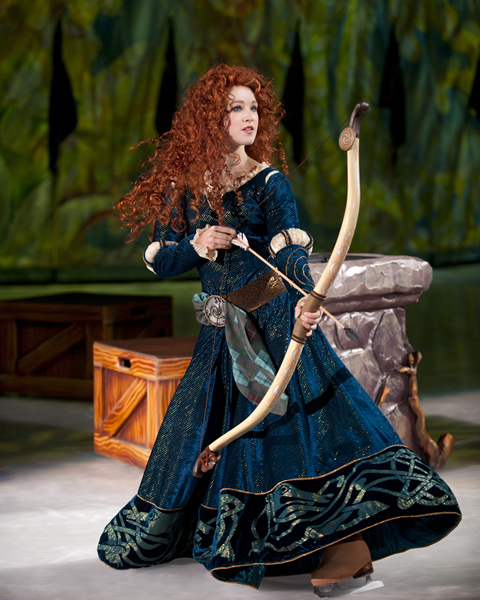 Mickey and Minnie will of course be in attendance, but I have a feeling all eyes will be on Merida. This year, I will have the opportunity to take my son to his first Disney on Ice tour. I can still remember my first show and I can’t wait to let him experience his. I’m sure that he will be dancing to the upbeat music and cheering on Merida as she attempts to win her own hand in marriage in an archery contest. Even though this particular show centers around the Disney princesses, I know my son is going to love every minute of it.